Hand Drawn Vector Abstract Cartoon Summer Time Graphic Illustrations Artistic Seamless Pattern With Beach Gull Birds,camping Tent,watermelon And Banana Fruits Isolated On White Background. Royalty Free Kliparty, Vektory A Ilustrace. Image 116304045. 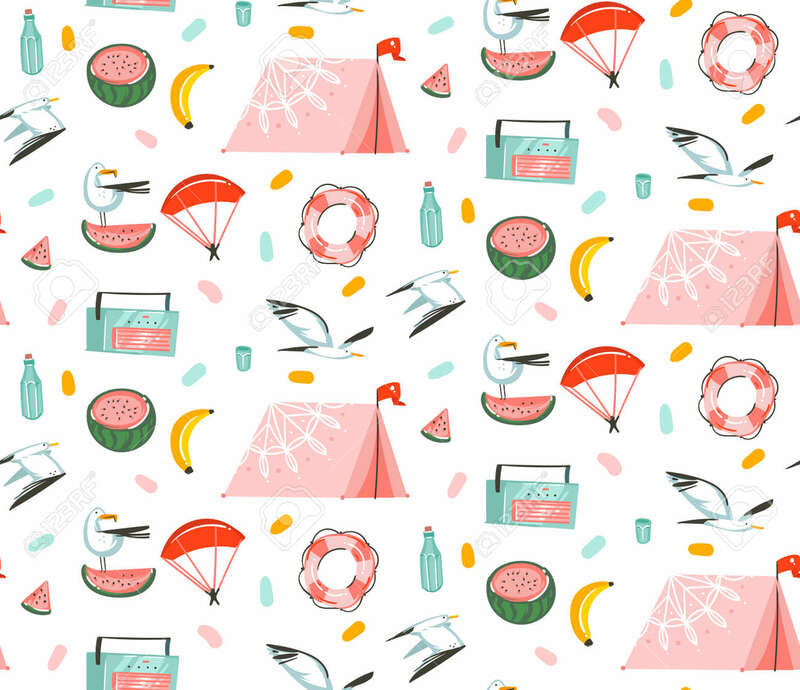 Reklamní fotografie - Hand drawn vector abstract cartoon summer time graphic illustrations artistic seamless pattern with beach gull birds,camping tent,watermelon and banana fruits isolated on white background.